Thank you, Anheuser-Busch. The giant St Louis brewery did Budweiser Clydesdale fans a big favor today and released the hitch's new 2014 Super Bow commercial. Have a watch and relax during the game! Now, these commercials always have a back story, and this year is no exception. Here's the "behind-the-scenes" teaser for the ad. 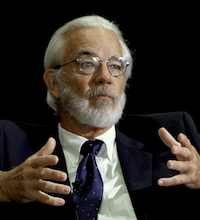 Anheuser-Busch is continuing the story started with "Brotherly Love" in 2013. This year, the horse trainer played by actor Don Jeanes finds his paddocks invaded by a persistent puppy from the adoption center next door. Many people were moved by the Budweiser Clydesdales' special commercial--it only aired once--for the heroes of the 911 tragedy in New York. Get ready to be moved again during this Sunday's Super Bowl, as the Clydesdale perform a hero's welcome. 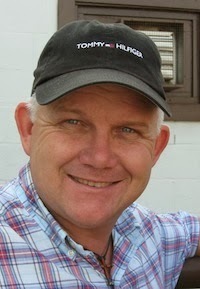 Halfway around the world, a South African racehorse trainer is taking a chance with a well-known stakes-winning Thoroughbred. And he had to get official clearance to do it. 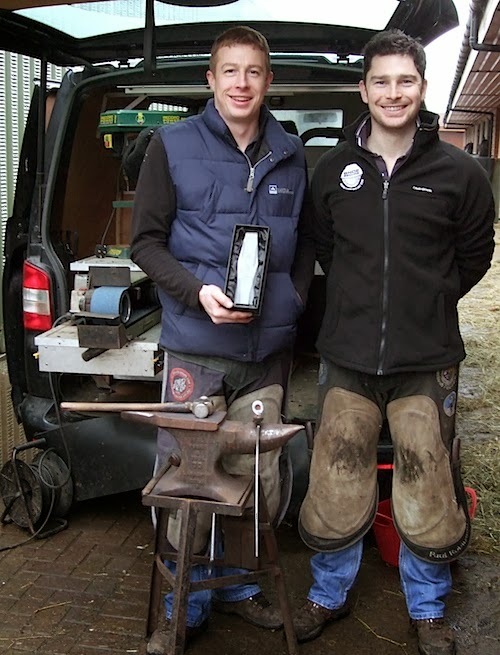 What if two World Champions teamed up to offer farrier services and train apprentices? That's exactly what happened in Scotland a few years back. At that time, neither knew he'd ever win that prestigious title. Or, for that matter, their latest title, either. More than 70 professional farriers, veterinary students, farrier school students and horse owners gathered for the 2014 Texas A&M University Farrier Conference held January 10 in College Station, Texas. 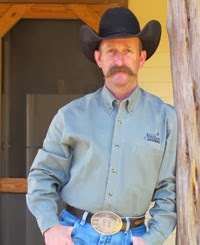 Following the conclusion of the conference, on January 11, the Texas Professional Farrier Association sponsored an American Farrier's Association Certification exam for those desiring to take one of the certification exams. 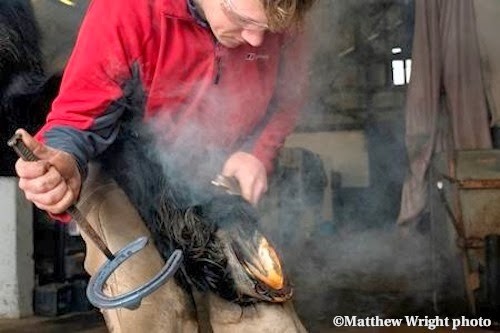 Twenty individuals took exams for farrier certification, according to organizers. 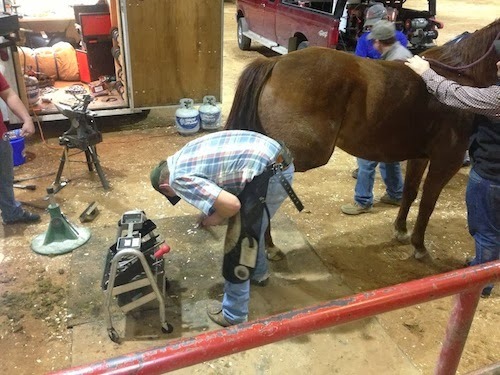 Texas A&M University has been hosting farrier seminars for many years. The University is home to both a renowned veterinary college and a highly respected equine science department, as well as an active extension education program. A new equine center is under construction at the university, which is in College Station. 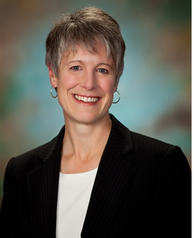 Thanks to Blair Fannin and the Agrilife staff for assistance compiling this article. 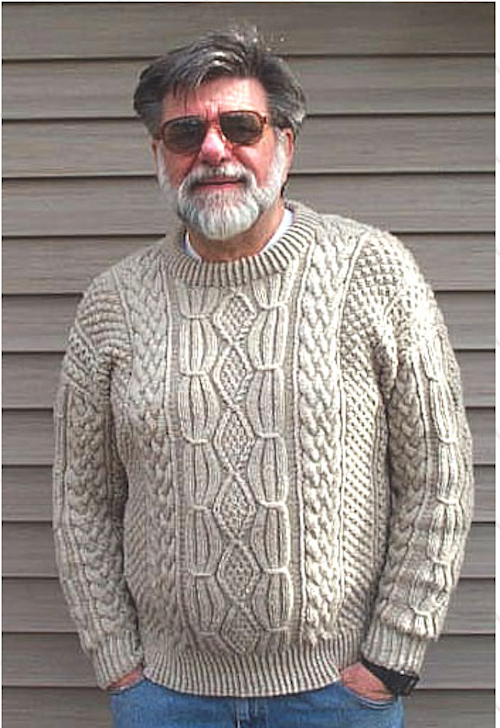 Charley Orlando in an Aran Islands style sweater that he knit himself. He knit sweaters like these for 50 years. We live in a world where people have hyphenated descriptions attached to them. In music, there are singer-songwriters. 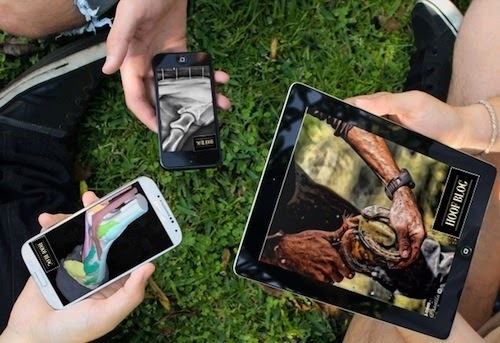 In our world we have farrier-veterinarians, artist-blacksmiths, and barefoot-farriers. 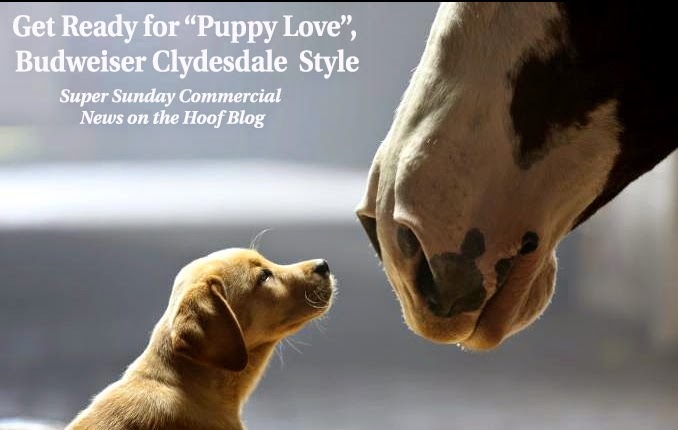 Budweiser Clydesdales 2014 Super Bowl Commercial: Expect Big Horses, a Cute Puppy, and An Epic "Awwwww..."
It's coming. And imagining what it might be will keep us busy for the next 15 days. 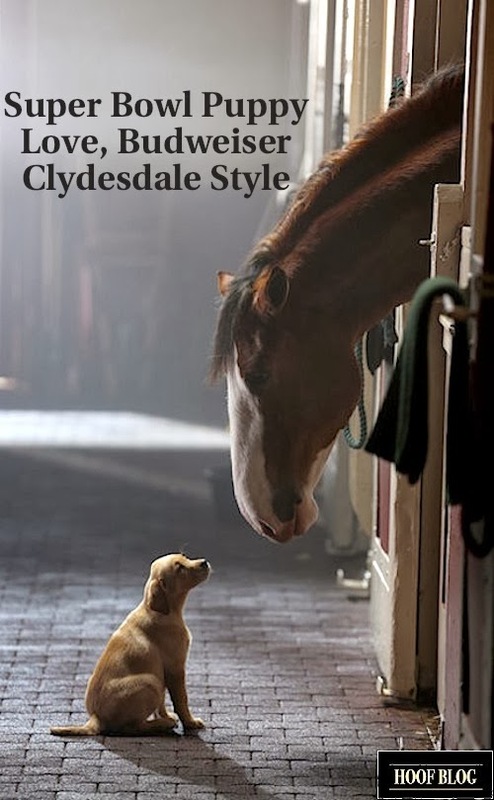 It's time for the 2014 Budweiser Clydesdale commercial created for the Super Bowl XLVIII on February 2. 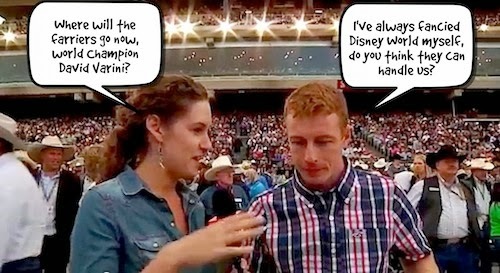 Reigning World Champion David Varini (right) during a television interview minutes after finding out he had won as he stood on the Calgary Stampede's rodeo stage in front of 20,000 people. Speech bubbles represent what they might have been talking about if the interview had been this week. 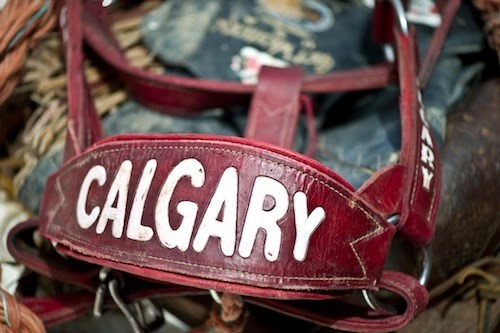 Will the last farrier competitor to leave Calgary please make sure the coal fires are out? 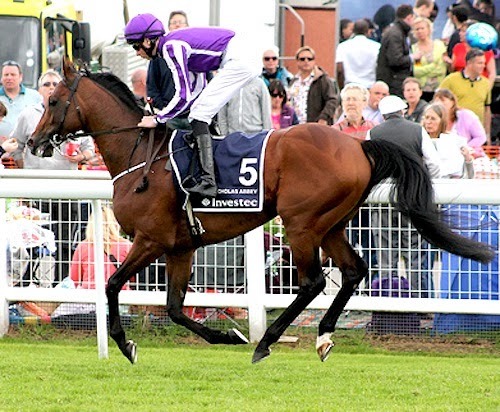 St Nicholas Abbey Euthanized After Surgery for Severe Colic Today; Laminitis "Was Resolving"
St Nicholas Abbey won the Coronation Cup three times. He also won the Breeders Cup Turf. He was ridden by his trainer's teenage son, and his story is made for Hollywood. Joseph O'Brien was growing quickly, though, and his boots were never quite tall enough. 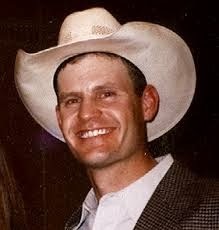 He and the colt made an unforgettable team. The news from Ireland this morning is tragic. The long-suffering but hard-fighting champion Thoroughbred colt St Nicholas Abbey has been euthanized following colic surgery. Photographer Matthew P. Wright followed farrier Andy Edie around the Lambourn Downs area of England. The result is a photography exhibit that has been made into a book, which can be previewed here. Glimpses into the life of a farrier who might be found on the streets of London or in the rainforests of Central America or helping a horse in Capetown in South Africa: Royal honors have been announced for British farrier Tom Burch for his service to the welfare of horses in the United Kingdom and overseas. There are lots of ways of looking at a horse's foot. 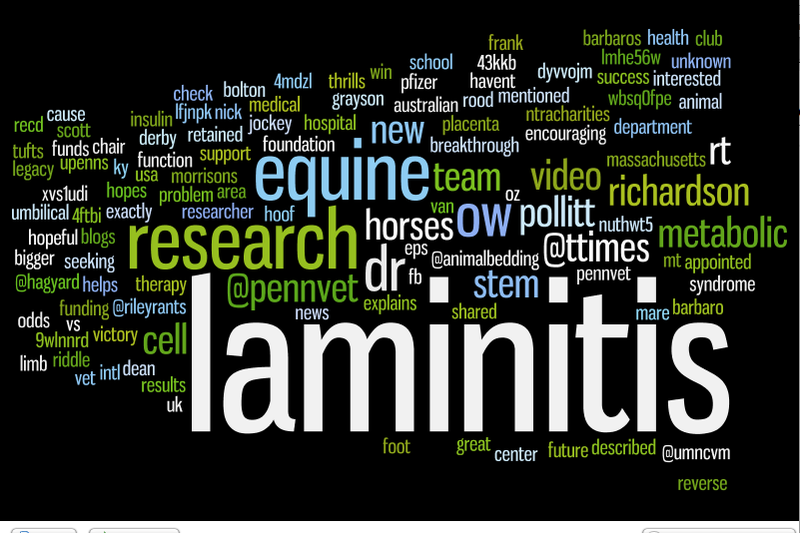 The Hoof Blog offered a lot of them in 2013. Some were more popular than others. What were your favorites? And what kind of a screen did you use to view them?